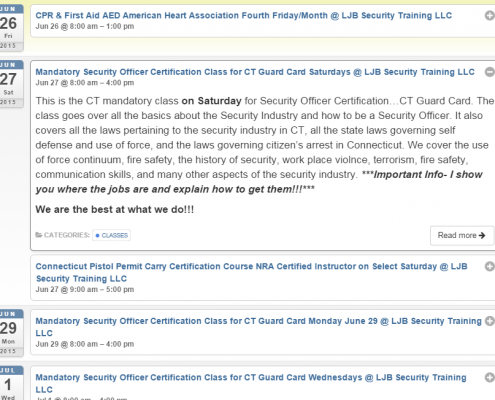 LJB Security Training is a security training school which specializes in getting its students certified and ready to be gainfully employed as security officers or guards in a variety of positions. LJB approached us to not just improve their search engine rankings but to completely revamp their brand and website’s identity. Lou Bonito came to 3PRIME & SpiderGourmet in 2010 as he was preparing to take his business to the next level. 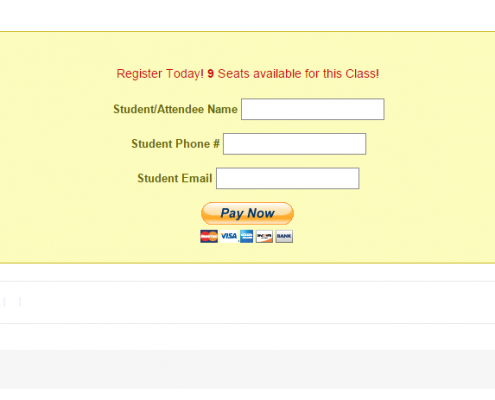 He had an existing website but needed a better system by which students could sign up for his classes, and a more professional web presence. 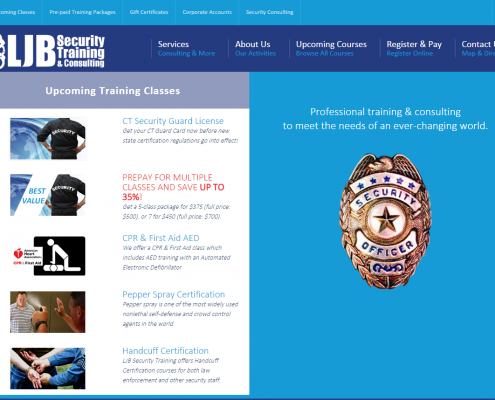 We recreated his website and customized a wordpress plugin in stages as his business grew to provide the functionality necessary to support the growth in demand for security training & certifications. 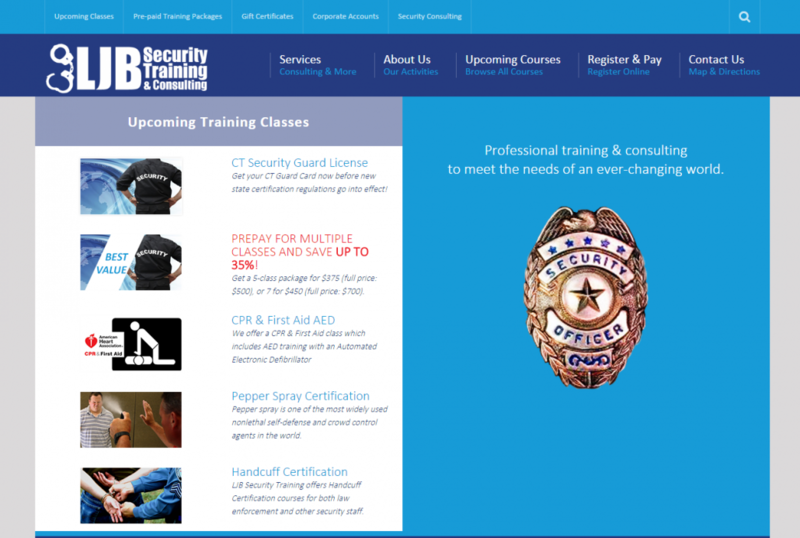 In the latest iteration, LJBSecurityTraining.com was upgraded with a new and better interface and a mobile-responsive theme. 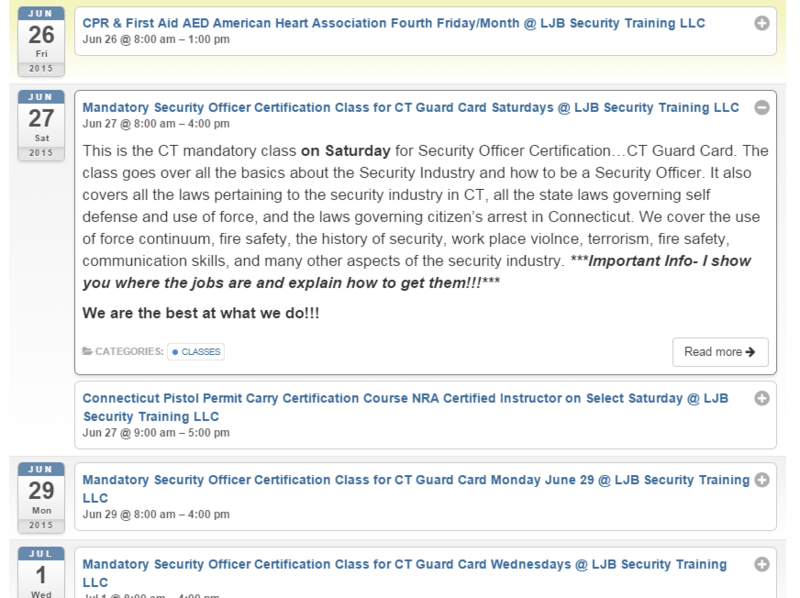 This business is now the #1 provider of CT Guard Card’s in the state of Connecticut, and we continue to stand by them as they grow!